It’s summer time, time to show off your piggies!! 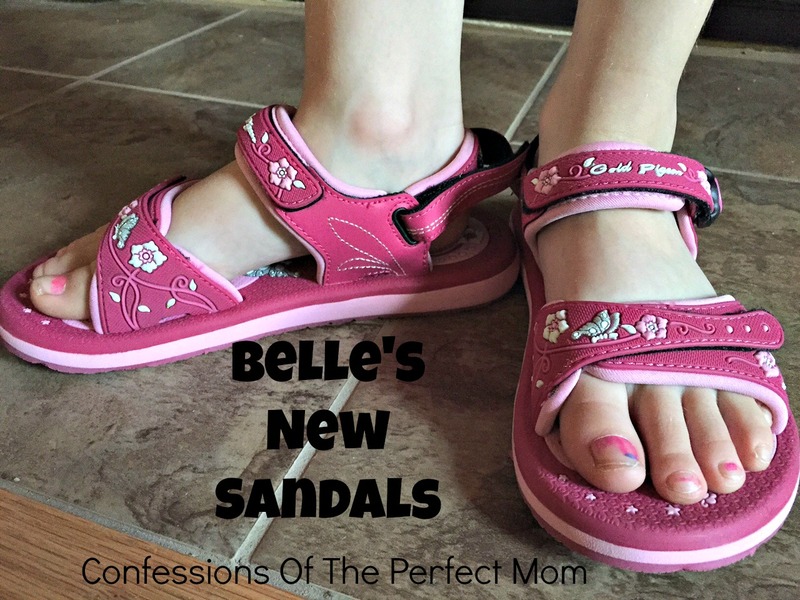 What better way then with a new pair of sandals. Both Belle and Baby were able to get some new shoes, and they were so excited. Baby loves the cute 3-D decals. Plus with everything being velcro she can put them on herself. Being a three year old, you know how important that is. A quick note- they run really big. I bought a size up on my girls, cause otherwise they would out grow them by the end of summer, and it was about 2 sizes to big. As you can see in the photos, they are big. With all the ways to adjust all the straps, they are still snug on their feet and wearable. But a word to the wise, buy the shoe size your kids are in. 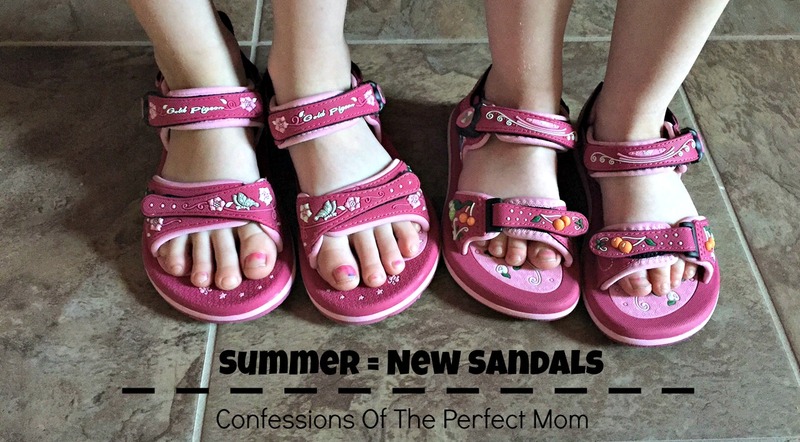 Would you pay the $37.99 for a pair of sandals for your kids? 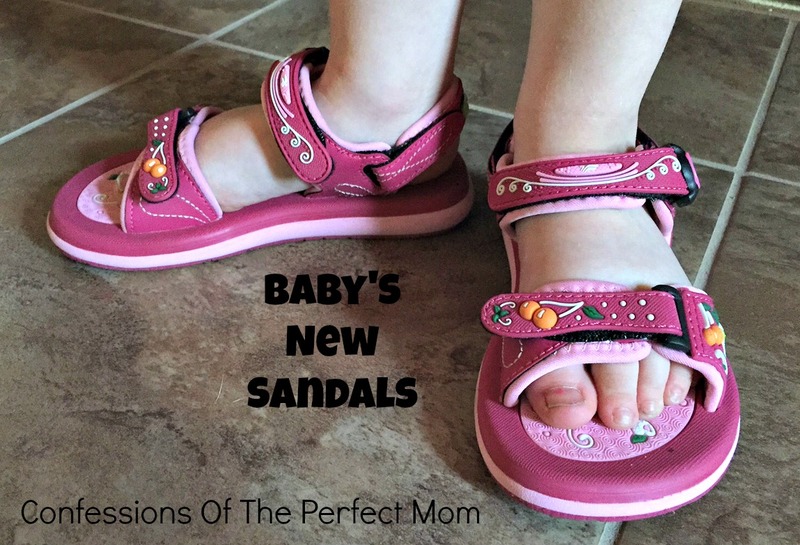 What do you look for in a sandal? What shoes are your favorite for your kids?